This week Mastercard launched a report in collaboration with CB Insights where it made the not so terribly startling prediction that SMBs would ‘become the next battleground for fintech’ in 2019. 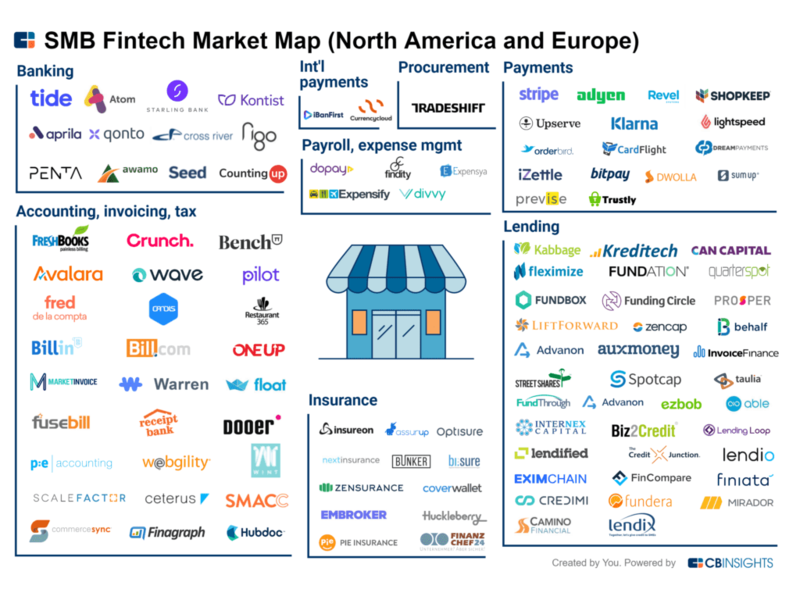 I think SMBs have been the battleground ever since the word fintech was coined, however the market has proven incredibly hard to crack. One key area that the report did zone in on, which I think is interesting, is the renaissance of the point-of-sale system, or POS. Its centrality in the SMB ecosystem, both in driving business for an SMB and in providing a platform for fintech plugins is still widely under recognised, and under-utilised. The report notes a few companies who are starting to embrace this privileged position, by branching out of pure hardware and basic software capabilities and into payment, sales enablement, inventory management and CRM hubs. These POS systems are generally also compatible with cloud accounting packages, the hub on which many fintech lenders sit. All these parts of the ecosystem are heavily dependent on each another, creating a symbiotic and hopefully stronger financial infrastructure, ultimately powered by a layer of dynamic data. The report calls out some of these POS systems – Toast, Upserve and Toronto based global player Touch Bistro, a company I remember working directly with on an Australian integration, during my time at Tyro. Square of course is rapidly deploying into this ecosystem, having seen the forest for the trees years well before many others. That, or Jack and co were simply brave enough to act on their foresight. Proof its continuing to lead the charge in the SMB battle came in late January, when Square launched Square Card, it’s SMB Mastercard debit card. The card allows business owners to draw on their Square takings, and also offers an instant discount on purchases made at other Square sellers. Deceptively simple, and an idea Amex could and should have monopolised on long ago via their Shop Small initiative. It’s one of those ideas a ruthless focus on the core customer – SMBs – allows platforms like Square to launch. Keep an eye on the POS platforms, as this is where a good degree of the action will take place going forward.